Starbucks Canada will be giving away a month-worth of free grande-sized coffee or drinks after a customer buys their signature tumbler during the Christmas season. According to a report by MTL Blog, a customer is only limited to one drink per day and will be applied throughout the month of January next year. Read more here. Pizza Hut USA and Pepsi partnered for a promotional campaign in bringing their customers free tickets to the upcoming Super Bowl LIII. A customer can enter by buying the limited-edition Pepsi 4-Pack carriers that are available in the pizza chin’s stores until stocks last. Read more here. MOD Pizza USA has launched their 400th store in Kalispell, Montana in time for their 10th anniversary. They also donated US$1 for every MOD or Mega-size pizza sold to non-profit organisation Generosity Feeds to feed 1 million free meals to children. Read more here. 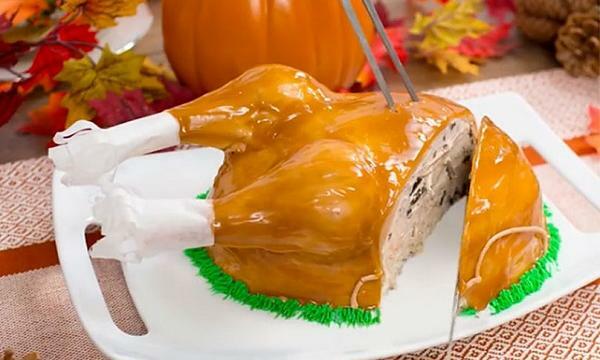 Baskin-Robbins USA brought back their turkey-shaped ice cream cake for Thanksgiving. According to a report by US Magazine, the offering has a caramel-coloured coat and sugar cone legs and green frosting shaped as garnish surrounding the bird-themed cake. Read more here. Various QSRs in the US announced their Black Friday deals. Dunkin’ Donuts partnered with ride-hailing platform Lyft to give $10 off a customers ride while food aggregator DoorDash partnered with Wendy’s, Chick-fil-A, Burger King, Five Guys, Buffalo Wild Wings, Wingstop and Jack in a Box to give free fries.